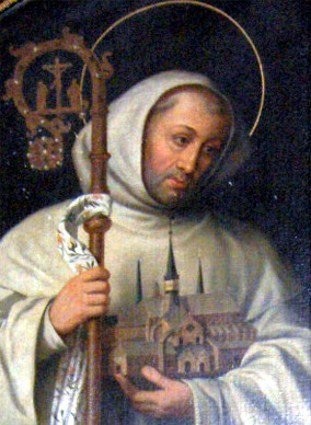 what became the Cistercian charism. monastic life under the gaze of Saint Bernard. Beginning today until a year from now, the Cistercians are observing a Year of Saint Bernard. Let’s join them in knowing more about this pivotal saint and monk. attractive and appealing to others, in the joy of the Holy Spirit. we always turn to Our Lady whom Bernard called the Star of the Sea. in wisdom, to your glory, who are blessed for ever and ever. Amen. Prayer adapted from the original by Dom Olivier, abbot of Citeaux. 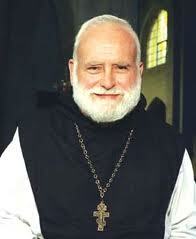 Today marks the 7th anniversary of death of M. Basil Pennington, OCSO, monk, priest, abbot, writer. In 2005 he died on the feast of the Sacred Heart. Abbot Basil died as a result of injuries sustained in a car accident at the age of 73. He was described aptly as a “great, loving bear of a man” with a terrific sense of humor and laugh. He was energetic and an impressive leader with a very large capacity for friendship. His openness and keen intellect allowed him to publish 57 books and more than a 1000 articles. Father Charles Cummings’ obit of Dom Basil can be read here. If you’ve not known about Basil, then I would make the humble suggestion to read this piece and find the book, As We Knew Him, to introduce yourself. Rest in peace, Dom Basil. 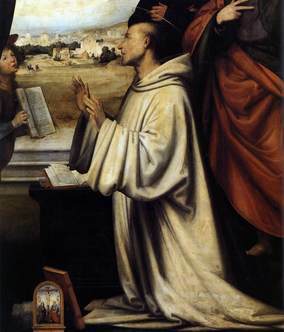 I am slowly reading a book written by Dom Michael Casey, a Cistercian monk from the Abbey of Tarrawara (Australia), The Road to Eternal Life, a series of reflections on the Prologue of the Rue of St Benedict. With all the talk of being a good witness and yesterday’s emphasis on our destiny in Christ, I thought Dom Michael’s reflection on boasting in the Lord makes some sense for us today. I recommend the book. The one in the New Testament who speaks most about boastfulness is Saint Paul. He sees boasting as an expression of an autonomy that weakens a person’s total reliance on God-that is, it weakens faith. Those who think that religion is simply a matter of conforming to the precepts of the law, or perhaps so twisting the precepts of the law so that they are comfortable, have not yet learned the art of putting their trust in God, relying on God’s mercy. They are locked into the schemes of self-perfection that they themselves have crafted. The end of such self-assurance can be only disaster. As Saint Ignatius of Antioch wrote to Polycarp, “The one who boasts has already come to nothing”. 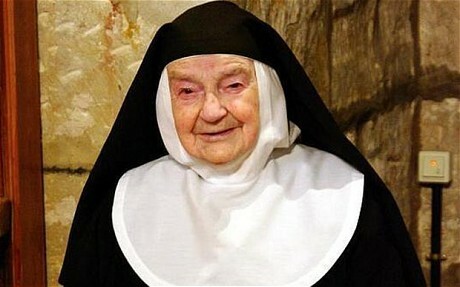 A Cistercian nun at 103 years, is leaving the monastery for the first time in 84 years to meet Pope Benedict while he’s in Spain for World Youth Day. Sister Teresa entered the Monasterio de Buenafuente del Sistal on the very day of Benedict’s birth, 16 April 1927. Aside from a distraction of the Spanish Civil War (1936-39) that caused the nuns to flee fighting, Sister Teresa has lived her vocation as a cloister nun in that place. Sister’s monastery was founded in the 13th century, and for 20 years was the religious superior.